“Promoting policies and practices to attract, develop and enhance professionals for the sustainable growth of the company, supported by the business strategy.” Based on this belief, HR develops its programs to attract and select the best professionals aligned to the SLC Agrícola values and develops its actions within the scope of the Company’s strategy. Why work at SLC Agrícola? SLC Agrícola has the dream to positively impact future generations, being the world leader in efficiency in the agricultural business and in taking care of the planet. In pursuit of this dream, we work to feed the world and make agriculture more sustainable. The Company seeks to provide a constructive and pleasant working environment valuing its employees and contributing to society. Recent graduates that are in the SLC Agrícola’s Trainee Program can find the space they need to realize their full potential. The trainee is involved in intensive training actions and has a qualified technical team to accompany them in their field of operations, which plans every step of their training and building their career. The SLC Agrícola Internship Program promotes learning and qualification of young students from all over the country, every year. Challenged to apply their theoretical knowledge in practical everyday activities and involved in internal training activities, they develop their potential and get prepared to take effective positions in the organization. The goal of the Leadership Academy is to develop leaders, successors and potential leaders in organizational competencies that are essential to the business, in leadership and in specific aspects, to prepare them to act strategically, ensuring excellent, sustainable and highly productive development of the business through people. The Innovation Program includes the whole idea properly implemented, tested and working in SLC Agrícola that generates better results with financial impact for the company. The Coffee with the Board approximates the Directors and the employees aiming at their valorization and exchanging knowledge regarding the topics covered. The Saiba Mais Program contributes to knowledge management within the organization, through presentations between the different areas. The Corporate HR draws up an annual calendar of presentations and coordinates the event. SLC Agrícola takes care of its employees and is concerned with the best practices of the market when it comes to benefits. Therefore, it offers its employees food vouchers, meal vouchers, nursery assistance, educational assistance (Undergraduate and Graduate) and helps with language studies. The Programa Semear seeks to promote professional development and inclusion of people with disabilities (PWDs) in the workplace. The actions aim to carry out initiatives and activities that go beyond the legal compliance (Quota Law 8213/91) and create within the work environment the means to overcome the barriers that may prevent people with disabilities from carrying out their work independently and with quality. Among the Program’s activities are lectures, behavioral training and technical training, such as the sign language course. Currently, 72 people with disabilities participate in the program, but the program tries to reach all the employees as it seeks to have a non-discriminatory action and respect for human rights. 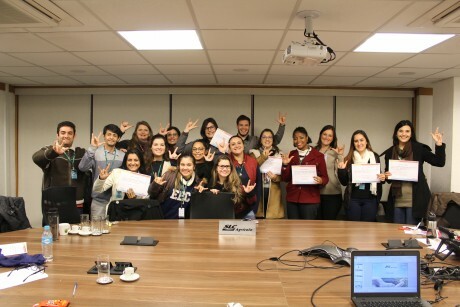 The case “Nosso Jeito de Ser (Our Way of Being) – Internal Communication in SLC Agrícola”, won the Top Ser Humano (human being) Award, from the Brazilian Human Resources Association of Rio Grande do Sul (ABRH RS), in 2016.
in 2016, SLC Agrícola was elected the 10th best company to work for in Rio Grande do Sul State, according to the Great Place to Work methodology, an institution that operates in 53 countries. 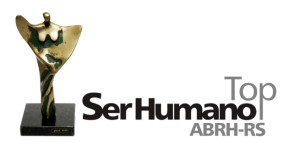 SLC Agrícola won the Top Ser Humano (human being) 2018 Award, with the case “Programa Semear – Semeando a Inclusão na SLC Agrícola”. 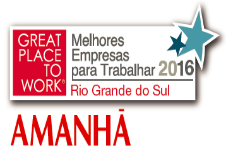 The Award is granted by the Brazilian Human Resources Association of Rio Grande do Sul (ABRH RS). 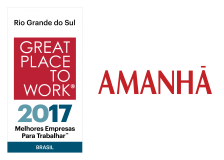 SLC Agrícola was elected in 2017 the 7th best company to work for in Rio Grande do Sul State, moving up 3 positions according to the Great Place to Work methodology. In 2018, SLC Agrícola was considered one of the Best in People Management, award given from Valor Econômico Newspaper. In 2018, SLC Agrícola reassures its commitment with Safety through another internal campaign to reinforce the importance of this subject. The campaign “Embrace Our Rules, Embrace your Life”, aims to make employees and their Family aware of this subject. The Quality of Life Program has a schedule with several actions to promote the quality of life in the working environment. These actions are based in 5 pillars (cultural, social, physical, mental and professional) and happen all over the year in the Headquarter and in the Farms. In order to make employees aware of the importance of reducing water, plastic, paper and energy use, SLC Agrícola launched an internal campaign in 2017 to address these issues. Lectures and awareness actions were held. The campaign will have its second phase still in 2018.